We're transforming our sanctuary for Good Friday into a space not only for prayer, but also as an offering for the community as a quiet place for contemplation throughout the day. 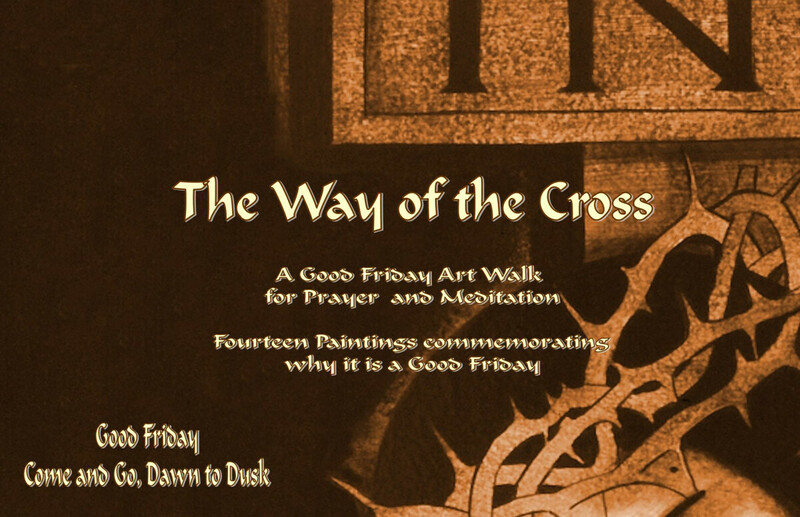 "The Way of the Cross" an Art Walk for Prayer and Meditation will be presented on Good Friday, from dawn until dusk. The fourteen images presented are by Canadian painter Michael O'Brien. A guide for Scripture meditation will also be offered.